Aleksander Vucic’s Serbian Progressive Party won an estimated 56.2 per cent of the votes in Serbia’s parliamentary elections on April 24 2016, which if confirmed by official results would give his party 177 seats in the country’s 250-seat National Assembly. Running second was Ivica Dacic’s Socialist Party of Serbia and its allies within the coalition formed for the election, with 10.9 per cent or 34 seats, according to initial projections. Third was the Radical Party of Vojislav Seselj, who recently was acquitted by the International Criminal Tribunal for the former Yugoslavia of war crimes. Projections saw Seselj’s nationalist, anti-EU, party as winning 7.3 per cent, or 22 seats. In fourth place was Za Pravednu Srbiju, with an estimated 5.7 per cent, or 17 seats. Official results are expected by 8pm on April 28 from the Republic Electoral Commission. 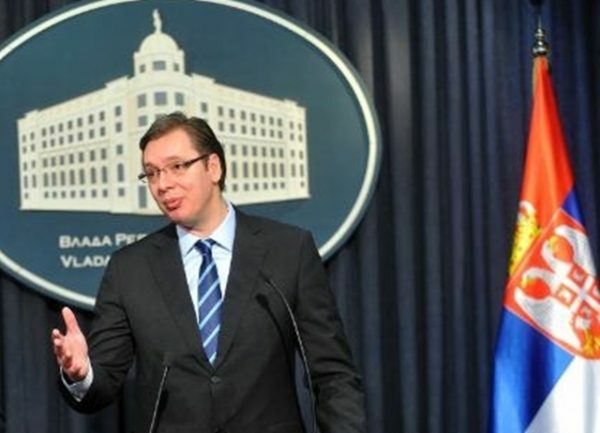 Vucic called the elections, which if the schedule had been kept to would have been held in 2018, saying that he was seeking a fresh mandate for reforms for the sake of Serbia’s hopes of accession to the European Union. Vucic, who made a political shift from hard-line nationalism to a pro-Western reformist stance, came to power as prime minister after a decisive victory in March 2014 elections. In the 2014 elections, Vucic’s SNS got 48.3 per cent of vote, giving his party 158 seats. Dacic’s SPS got 13.9 per cent that year, adding up to 44 seats.